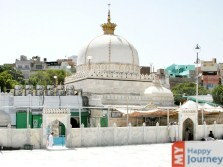 Ajmer, a gleaming star in the spiritual map of India, is one of the most famous pilgrimages. 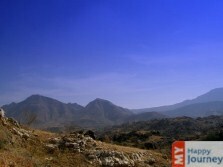 Sited in the state of Rajasthan and bordered by Aravalli range, this city has a great history. 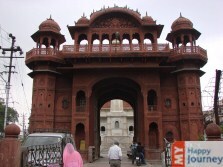 Ajayraj Singh, an emperor of Chauhan dynasty, founded this superlative city in 7th century. The city is fortified by the colossal Taragarh Fort, which is thought to be one of the oldest hill forts of India. 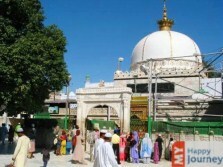 The chief draw of Ajmer is Dargah Sharif, which is the entombment ground of great Sufi-saint, Khwaja Moin-Ud-Din Chisti. Dargah Sharif, which is positioned at the base of Taragarh Hill, is visited by disciples of all religions in large numbers. Towards the north of the city lies an artificial lake, known as Ana Sagar Lake. This lake is beautiful and has become a popular picnic spot not only for locals, but also for the tourists. Pavilions or Bardari, which were constructed by Emperor Shah Jahan, make the water look even more stunning. 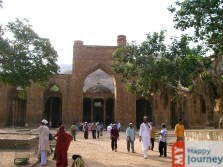 Another must see place is the Ajmer Museum. Once the residence of Akbar, today it houses idols from 6th and 7th century. A large number of figurines and body armors of two significant dynasties, Mughal and Rajput, are also put on display for tourists. An astounding place in Ajmer is the Adhai Din Ka Jhopra, which is a mosque and it is believed that it was made in a period of two and a half days. It is a great testament of the Indo-Islamic architecture. 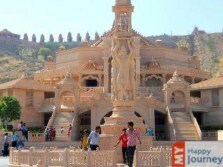 Nasiyan temple, Nimbark Peeth and Nareli Jain Temple are some of the other main attractions of Ajmer. 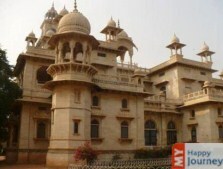 Mayo College, a school started mainly for the erstwhile Indian aristocracy chiefly Rajputana, is nowadays one of the preeminent schools in the country. Ajmer is also considered as a gateway to the sacred city of Pushkar, which is situated at a distance of just 11 km from here.